There are 175 districts, 477 public schools, and 15 charter schools in New Hampshire serving 191,900 students. 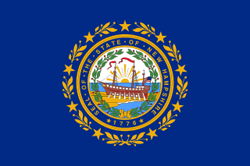 Financially the state of New Hampshire spends approximately $14,610 per student. There are 15,049 full-time teachers receiving a total of $1,045,325,579 in salaries and $440,816,093 in total benefits. 40,806 students receive a free lunch and 9,317 receive a reduced-price lunch.